Congress leader Priyanka Gandhi asserted that Uttar Pradesh did not require an outsider to develop it. 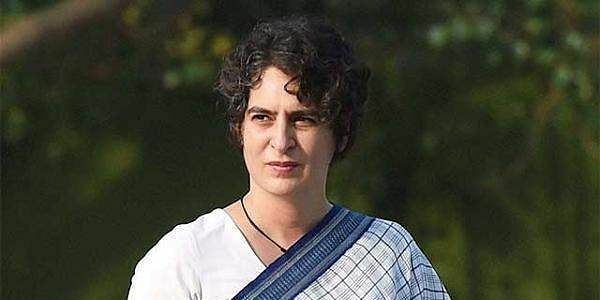 BENGALURU: With Priyanka Gandhi Vadra going straight for the kill by attacking Prime Minister Narendra Modi in her much-awaited debut in the Uttar Pradesh polls campaign, the Bharatiya Janata Party (BJP) on Saturday took a jibe at her stating that it’s best to ignore a “part time politician” who makes statements while being unaware of the nation’s political developments. Priyanka joined her brother and Congress vice-president Rahul Gandhi on Friday in attacking Prime Minister Modi over demonetisation, saying it has only caused pain to the poor. “The part time politicians and campaigners of Congress do not try to understand the real impact of demonetisation by making irresponsible statements. Demonetisation has only affected those who have amassed black money. Priyanka Gandhi comes once in a while during election periods and makes statements without even studying what really happened in the past. She is making comments unaware of the political developments, which I think is best to ignore,” BJP leader S. Prakash told ANI here. The Congress star campaigner finally hit the campaign trail for Uttar Pradesh Assembly election addressing a rally at her mother Sonia Gandhi's Lok Sabha constituency Raebareli along with her brother Rahul. Priyanka also asserted that U.P. did not require an “outsider” to develop it, and conveyed to the Prime Minister that relationships were not built by just talk but they need fulfilling of promises as well. Priyanka attended the rally two-day days after BJP leader and Union Minister Smriti Irani claimed the Congress leader was not campaigning as she had no answers to people’s question in Uttar Pradesh.